The culmination of a year-long process to discover the best curated art and design exhibitions and installations will occur in Miami on Monday, November 30, with the live presentation of the winners of the 2015 Global Fine Art Awards (GFAA). 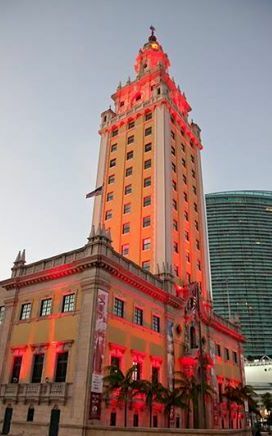 The event will take place at the historic Freedom Tower at Miami Dade College. Brooklyn Museum Director and former Creative Time Director Anne Pasternak said, “Thank you for the honor and congratulations to you on the success of the Global Fine Art Awards!” for the 2014 Best Public installation – "A Subtlety" by Kara Walker. The GFAA Ceremony and Gala kicks off the most important week of art and culture in Miami. In 2014, more than 70,000 art patrons attended the pinnacle fair, Art Basel Miami Beach. Launched in 2014, the first GFAA edition recognized 62 nominees in 5 award categories. This year, the program has expanded to include 3 new awards and a total of 67 nominees across 5 continents, 19 countries and 42 cities- from Seattle to Cape Town. The red carpet, black-tie event in Miami will host GFAA nominees and luminaries of the art world – editors and publishers, museum directors and board trustees, gallerists, artists and collectors. Additionally, gala tickets are available to the public and may be purchased online through the Fiscal Sponsor of the GFAA program – Fractured Atlas. Throughout the evening, guests will meet and mingle with the nominees and fellow supporters of the GFAA. The focal point will be the award ceremony, and the presentation of the curated videos of the award finalists. The videos will be produced under the creative direction of GFAA Advisory Board member, Juan Carlos Zaldivar- award winning filmmaker and video artist. Dr. Eduardo J. Padrón, President of Miami Dade College states, “We are pleased to host the Global Fine Art Awards Ceremony. As leaders in education and the arts, we applaud this initiative and all programs that create a larger audience for art and education." GFAA is the first annual program ever created to recognize the best curated art and design exhibitions and installations worldwide. This program includes exhibitions in museums, galleries, art fairs and biennials, as well as public installations. For eligibility in this year’s edition, each nominee was created and opened between Aug 1, 2014 and Jul 31, 2015. This year’s nominees hail from as far south as South Africa and Australia, and north to Denmark and Seattle. There are a total of 67 nominees in 8 award categories which represent 19 countries, 42 cities and 5 continents. The total slate represents a diverse range of size, style and provenance; with 24 of the GFAA nominees from the top 100 art museums visited in the world (April 2014, The Art Newspaper). The judges’ panel includes Peter Trippi, editor-in-chief of Fine Art Connoisseur magazine American Alliance of Museums' Senior Director of Leadership Programs, Dean Phelus; Gina Costa, art historian and curator, previously from the Metropolitan Museum of Art and the Art Institute of Chicago; and Dr. Barbara Aust-Wegemund, international lecturer, art history consultant and curator. GFAA endeavors to be world renowned as the premier art and design award program. Within one to three years, the program will develop and operate an academic research Academy based in Miami. Over time, the number and type of awards will grow to approximately twenty- encompassing more art categories, and awards for curators, artists and other individuals. Leadership Team: Renee Farina, Ivonn Goihman, Danny Gonzalez, America Jimenez de Lara, Liz Manners, Betsie Piussan, Andres Ramirez, Nancy Richmond and Patricia Wyrod. Advisory Board: Samantha Bratter, Tiffany Chestler, Mauricio Ferrazza, Ron Flavin, Peter Hansen, Patricia Lannes, Cathy Leff, Howard Lewis, Ty Murphy, Terry Riley, Brian Schriner, Hedva Ser, and Juan Carlos Zaldivar. MDC Museum of Art + Design (MOAD) is Miami Dade College’s flagship institution dedicated to the presentation and exhibition of visual art and design, housed at the National Historic Landmark Freedom Tower at Miami Dade College in Downtown Miami. The mission of the Museum is to promote the appreciation and understanding of art and its role in society through direct engagement with original works of art from within the College’s extensive permanent collection and temporary exhibitions. 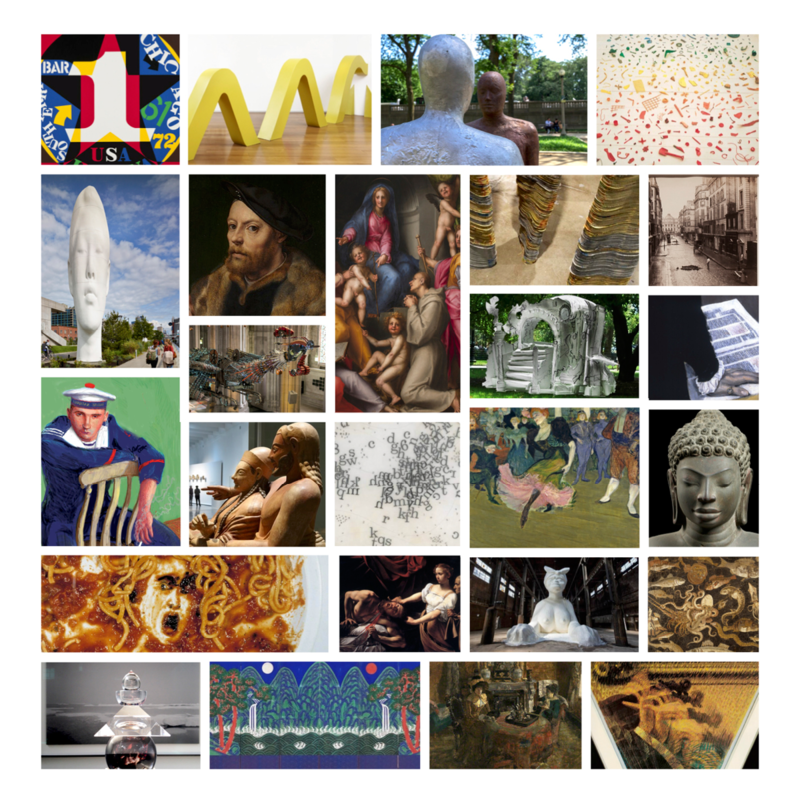 Furthermore, the Museum presents year-round lectures, symposiums and art related events to expose, educate and engage the greater public through related creative processes.